A brain related disorder caused by disease and other conditions. Many, including Alzheimer’s disease, stroke, thyroid issues, vitamin deficiencies, reactions to medicines, and brain tumors. Permanent damage that comes in stages. 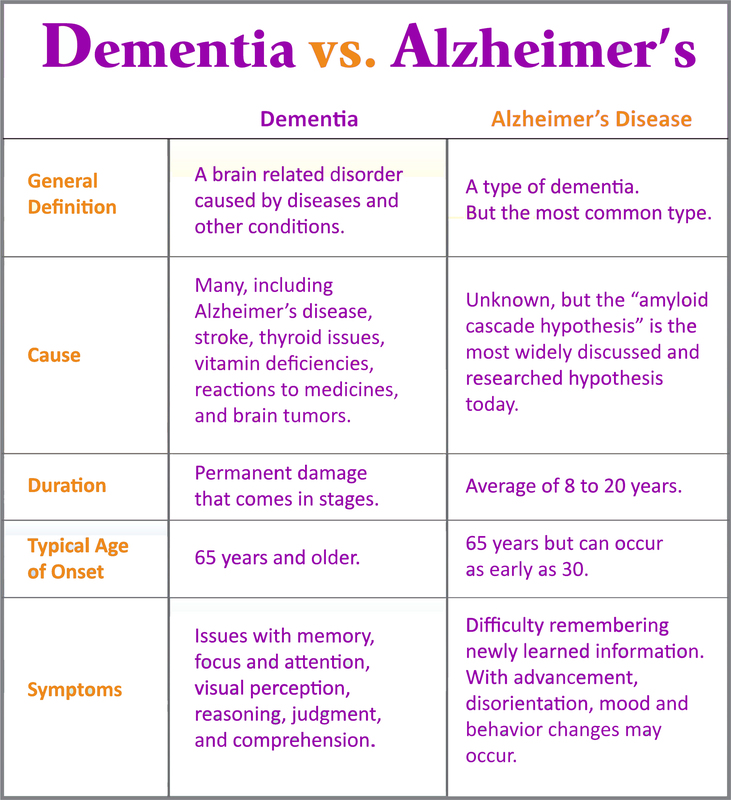 A type of dementia.But the most common type. Unknown, but the “amyloid cascade hypothesis “is the most widely discussed and researched hypothesis today. Average of 8 to 20 years. 65 years but can occur as early as 30.